This site is really great. 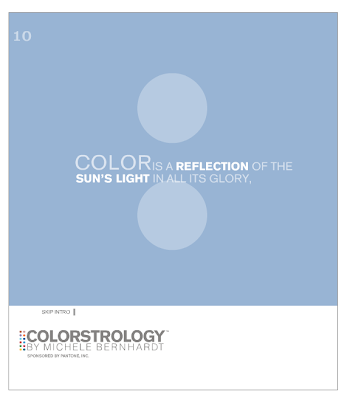 It assigns a color with your birthdate. Not only that, but it's a Pantone color. Pantone is a color matching system used by graphic designers. It ensures that the colors I am designing with will match the colors preferred/selected by a client, and used by the printer for the final product. I have a few well-loved Pantone books. My Pantone Colorstrology was especially accurate. It's called Lion (whe I was a younger I had "L" cards that said "Lazy Lions Lounging in the Local Library"). I also looked up Wes's and my sis-in-law (and new Lickable Spoon partner), Tiffany. Both seemed to be pretty spot on! So go check it out! Find the site HERE. I find this so amazing. I went through all my family members and can't believe how spot on it is. Especially my two oldest daughters. Their birthdays are only 1 year and 5 days apart but they couldn't be more different, and the descriptions matched their personalities perfectly. Their pantone colors also happen to be their favorite colors which is just crazy. Thanks for sharing this.